I have a small mix room of my own and I also have partnership with bigger studios in my area, for when I need to record drums, for example. I'll be glad to show you the best options to enhance your project and keep your budget in line. Let's do something good for your music. I also have experience in editing, tuning vocals and replacing drums. Let me hear what you have and we'll see where we can get. Really love to record/mix/master. I started as an assistant in a small studio, working with senior producer on spots, jingles and soundtracks. I studied Studio Design, Acoustics and Electrics, Music Business, Musical Production and things like that. Please, be welcome to send me any questions, artistic or technical, I'm here for the positive vibes. A: It is essential to have a good setup, but music perception is way more important than any gear. I use an "in the box setup" in my mix room, with a quad core Mac and plugins like Waves, IK Multimedia, Mac DSP, Slate and others. My DAWs are Protools and Logic. A: Well, I really like Rick Rubin's work with many artists, specially when it goes to that "open and dynamic sound". A: I mostly produce bands and singers. 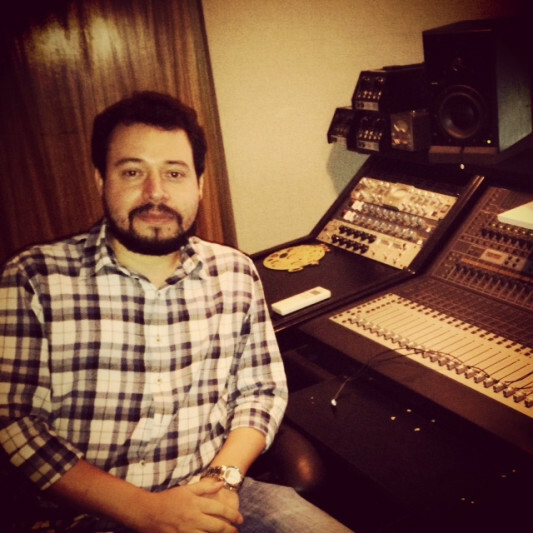 A: I produced the album "Amarelo" for Os Intelectuais. It was a long process where we became good friends and I love the songs, they are beautiful and the lyrics are simply the best ever. It is in portuguese, so unfortunately if you don't understand the language you won't get all the power of these songs, because lyrics are too strong. Yes, I can speak english, portuguese and spanish very well. A little german too, but it is really just a little, ok? Auf wieder sehen! A: I'm working on the third album for the folk artist Spangled Shore. On the first he wasn't Spangled Shore yet, so officially as Spangled Shore that's the second. I'm also working on my own songs. A: Well, SoundBetter is full of great pros, anyone can recommend a few names. A: Producing is about taking care of your song like you take care of your sons. If you do it right from the beginning, they will probably grow beautiful human beings. So I promise you, I'll take care of your song as I would take care of my own son. A: It makes me feel great. I love to be surrounded by musicians and exchange music ideas, learn a new music style or a new rec/mix technique, find the right mood for a song. It is a wonderful job. A: Some customers wants to know how a song was recorded, mixed, if they can get that sound too. I would say yes, we can always get that sound, but trust your talent and search for your own sound. A: What do you expect from your song? A: Don't be afraid of taking your ideas to the limit. A: 1. U87 2. Rupert Neve pre 3. Apogee converter 4. MacBook with softwares 5. A Martin acoustic guitar. A: I like details, but I prefer emotions. A: I always feel good listening to the Lumineers. So simple but full of emotions and good vibes. A: Sure. When recording vocals, always test the singer's voice with a few mics and pres. A: Folk, pop, rock, heavy rock, Brazilian, acoustic, punk, soundtrack. I'm totally open to all kinds of music, bring it on. A: I like to listen. A: A song needs to touch people's hearts. When someone is listening to a song, that song must pass an emotion, something special, something that makes it unforgettable. That's what I want to bring to a song. A: In the latest jobs I've been working, we made the classic process (pre, production, post). We started by listening and choosing the songs, doing some demos with acoustic guitars, MIDI and vocals to get an idea of where we want to go, choose instruments and sounds. We find the best key for the singer to sing each of the songs, then we start doing some arranges. When we have the demos we proceed to track the songs. Before we track the vocals we always do some revisions on the lyrics. I think lyrics are really important, I like to take the time to work on them. So, we rec, edit, mix, we do some tests to review the mix and then we go to the mastering process. We work with 2 revisions normally with an additional fee of $25 for more reviews. It is always good to discuss references so I can get straight to what you are expecting.